Thanks to @RobynAlyHope for this art piece! With four past encounters Vox Machina has faced Lady Delilah Briarwood and two with Sylas Briarwood, Vox Machina entered the penultimate battle for the heart of Vasselheim against a very familiar pair of foes! Lady Delilah Briarwood has, time and again, caught Vox Machina off guard with her vast arcane abilities. However, after four encounters (two of which ended in her supposed death), Vox Machina learned their lesson: focus on the necromancer, and don’t give her an opportunity to show off what she can do. This time, she had one round only. Delilah’s high initiative did her no favors, as the only target she had on eyes on was Vex. Her cruel history with the ranger was an unintentional but masterful trap, as Delilah wasted her only action in the entire battle casting Disintegrate as a mere utility and intimidation spell. The only other spell she was able to cast (Shield, as a reaction) only delayed the inevitable. Delilah’s failure to adequately protect herself, her impatience to wait until she could effectively cast on Vox Machina directly, and her choice of intimidation and indignant rage over effective strategy left her vulnerable. Vox Machina had learned their lesson over the span of five encounters, and happily offered her a swift demise. 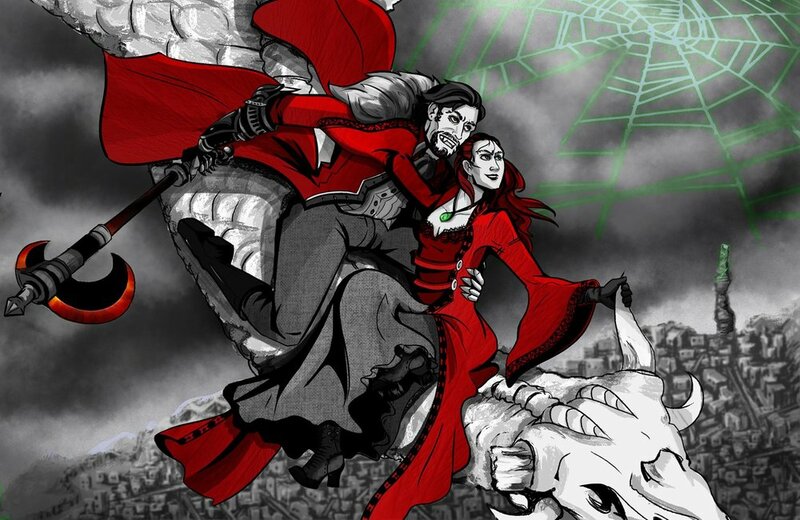 With this third and decidedly final death of Delilah Briarwood, it is assumed that Delilah the living Human Necromancer will no longer return to haunt Vox Machina. Or anyone, for that matter. Sylas's position on top of the dragon limited his initial effectiveness at the start of the battle. His ability to attack only one creature at a time proved even more frustrating for him once he was on the ground. Even using every possible extra action per round available to him, Sylas’ available actions were far less effective than anything his wife would have had in her arsenal. Sylas attempted to charm Arkhan, which was potentially the smartest strategy available to the vampire. Had Arkhan not saved, the dragonborn and his dominated pet would have made this stop on the long trek to Vecna significantly more difficult. Furthermore, the Greater Restoration required to bring Arkhan back to VM’s side would have been sorely missed (especially considering that spell slot would eventually go toward Scanlan’s Death Ward). Sylas’ new Greataxe of the Eclipse came with its own curse, requiring a Wisdom Saving Throw (as opposed to Craven Edge’s Constitution Save). However, with a Heroes’ Feast to aid the save and his own rage damage reducing the relatively paltry damage from the axe, Grog proved to be an ineffective target. Sylas’ defenses proved to be the one point in his favor. He managed to parry one of Percy’s shots, and his choice to shapechange into a bat allowed him a swift getaway. His most valuable asset in this battle was his legendary action to dash, which put him far enough away from Vox Machina. Once he was turned to mist, Vox Machina could no longer restrain him or prevent his total retreat. It should also be noted that Vox Machina forced Sylas to burn all three of his legendary resistances. Since Sylas remained in bat form after getting shot and only misted upon taking bludgeoning damage from hitting the ground, he might not have been reduced to 0 HP had he had the option use a legendary resistance to escape Vex’s bramble shot. While he would not have needed to be restrained for the party to catch up, this single wrinkle served to his benefit. Though he may not be present to aid Vecna or ensure his wife’s resurrection, Sylas (un)lives to fight another day, assuming his coffin remains hidden while he’s vulnerable. cornered Vox Machina and forced them to flee (again). Two hours in the Material Plane after this last task, the Briarwoods found their quarry again, significantly less fearful and significantly more rested. After having the upper hand for so long, it’s no wonder Lady and Lord Briarwood didn’t realize they had lost until death refused to be held off any longer. Charging in without the support of any cultists and only a couple of the many-available gloomstalkers (who themselves were completely ineffective this encounter), their hubris allowed them to be outgunned, outmanned, outnumbered, and outplanned. Their right hand dragon didn’t help the Briarwood’s overconfidence. Killed by Delilah and the Death Knight and then resurrected by the former, as Arkhan and company’s former steed and friend, the creature’s corrupted skeleton only added fuel to Arkhan’s vendetta. (In this context, it may be considered poetic justice that Arkhan reanimated Delilah’s corspe in turn to shuffle along with Vox Machina, even as Vex’s tree grew out of her body.) Despite early concerns upon its initial appearance, the Briarwoods’ steed was not a dracolich. Outside of the magic controlling it, the bone dragon had no arcane abilities. In life, it would have had the cold breath of a white dragon. In death, its breath weapon was charged with sharp bone shards (Dex save DC 18). It had no mind of its own, as its actions were fully under the control of Delilah. However, since the dragon was just an extension of Delilah’s power, its role as a minion fell flat, literally, upon her demise. Arkhan’s presence certainly helped Vox Machina. His gloomstalker took the initial attention when the wall went down, giving Vex an opportunity to get the first (sneak) attack on Delilah. The gloomstalker’s shriek would go on to blow one of Sylas’ legendary resistances and stun the supporting gloomstalkers in the second round, essentially removing them from the battle before they were subdued with little fanfare. Arkhan himself wasted one of Sylas’ actions by saving against the charm effect, then deprived Sylas of his ability to heal each round, courtesy of Divine Smite’s radiant damage. Percy’s push shots grounded both Delilah and Sylas, negating what little aerial advantage they started the battle with and knocking Delilah prone. This allowed Grog to wail on her with a sentient sword that very much wanted to cut one of Vecna’s webs. Keyleth’s follow-up Entangle pinned Delilah down, granting Scanlan 2’s Bigby’s Hand advantage to smash her and negating Vex’s disadvantage, allowing her to finish the necromancer for good. Turnabout is fair play, so Vex ensured that Delilah met her end prone, restrained, and staring at her beloved while her sworn enemy pointed a taunting finger in her direction. Poetic justice, indeed.